Explore the opportunity to improve your planning process with sophisticated 3D Geodata made specifically for 5G network designing. 3D Model of Santa Clara is a pilot project for 5G implementation and test drive. We used the last available high-resolution satellite images and Lidar data to meet the advanced requirements of new-generation networks. Visicom’s 3D data meet the features of 5G signal sensitivity and provide absolutely critical accuracy required for modeling precise 5G network propagation characteristics. 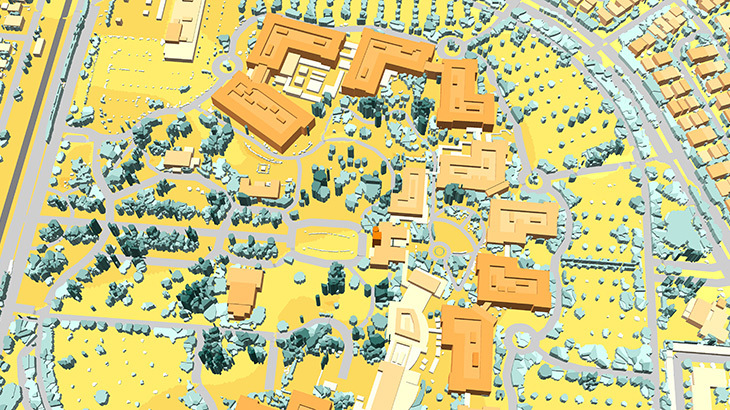 Download the free 3D sample of Santa Clara model and booklet regarding project "RF geodata for Santa Clara".